Local 1109 going to Trenton this Friday so get on the Bus! If there was ever a time for all of us: Regular workers, the Executive Board and Retirees of 1109 to stand up & let our collective voices be heard, then this Friday, Feb. 25th at 12 noon at the State Capital in Trenton, NJ is where we all should be! Wisconsin is the litmus test site. States like New Jersey, Indiana, Ohio, Virginia to name a few are next. The Nation is watching. The Greedy, wealthy opportunist Governor Christy of New Jersey wants to take away Collective bargaining rights for Public Sector workers just like in Wisconsin. If he's allowed to get away with this, private sector workers are next. Your vacation time, sick pay, overtime pay, seniority rights, job security protections, retirement packages, etc. are all direct results of collective bargaining. If we do not have this, we are dead. If you value your livelihoods, your families and your homes, then Friday marks our 1st day of bargaining for our August. contract with Verizon. Are you prepared to fight? This is February, we all should have our personal time. We all need to sacrifice a day and sign up and get on the bus to Trenton from the local. We need to Man & Woman UP! "If there is no struggle, there can be no progress! 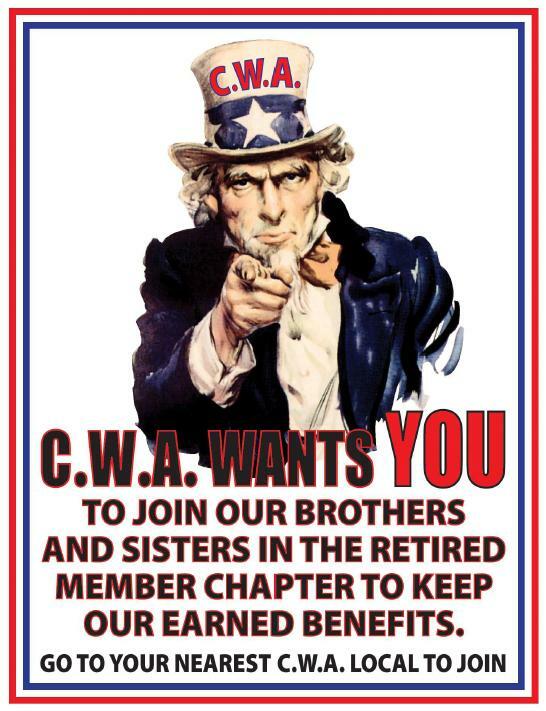 We demand our collective bargaining rights! Let's join all unions within Organized Labor on Friday. So Call the Local, sign up & get on the Bus at 718-444-1109. Buses shall leave the Local at 8:30 am. The address is 1845 Utica Ave between Ave J & Flatlands Ave, Brooklyn, NY 11234 . Stay in touch with the tape for further updated information and remember ... In Unity there is strength.